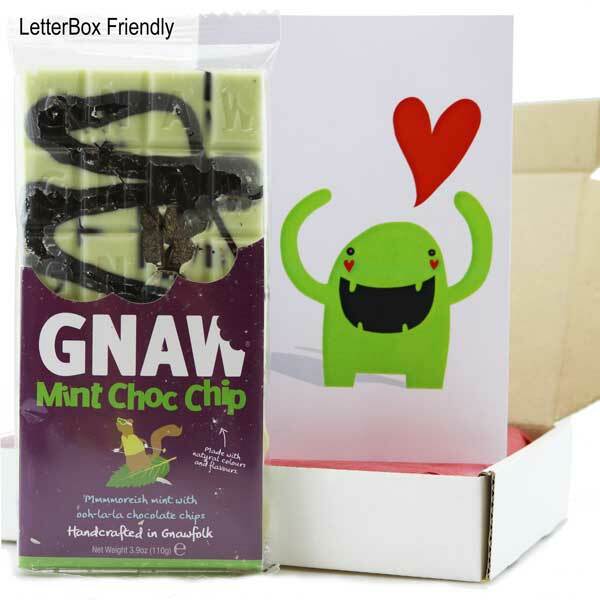 Gnaw Mint Choc Chip Bar 110g - a fabulous slab of chocolate from those wonderful people in Gnawfolk! Moreish mint with Belgian dark chocolate chips - perfect to gnaw at any time! Say thanks or treat someone to a card with a little extra - a chocolate extra! And this exquisite chocolate bar will not disappoint!